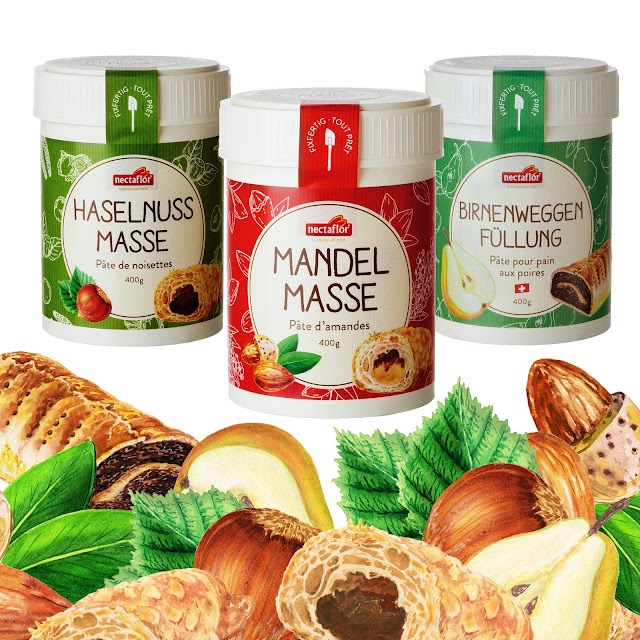 It is with a great pleasure I am announcing that new products of Nectaflor company with my watercolor illustrations of nuts and pastries are now in the stores of European supermarkets. It is surely lovely to see that my hard work and artistic education pays off. When I was painting these watercolour food illustrations such delicious pears and chocolate goodies, almonds and hazelnuts I carefully followed my clients requests, which were to make the watercolor illustrations in hyper realistic style. I am so glad I could use my classical education and paint those food illustrations in watercolor with diverse approach. The job is certainly well done!